Disclosure: This post contains sponsored content in conjunction with Barilla. It’s hard to believe, but just a few weeks ago, #MainSqueeze and I were in Italy, eating our way through Florence and Rome one pasta (and pizza) at a time. Our epic honeymoon adventure included stops in London, Florence, Rome and Krakow. Although we’ve been back for at least three weeks, I think I’m still adjusting! Dawid and I are not your typical “stay in one place” vacationers – we want to see the sights, sounds and, most importantly, tastes while we’re exploring a new city. People always say in their recommendations, “Go to X or Y museum while you’re there,” and typically, we forego these recommendations, because if I go to a museum, I want to see ALL of it; much like when I go to a new city, I want to see ALL of it, not be cooped up in a museum (and have to eat museum food). This week I was beyond thrilled to be invited to the Barilla® Collezione event at Spiaggia for a super special lunch where Top Chef winner, Joe Flamm, made us lunch using Barilla Collezione pasta. I’ve somehow also never been to Spiaggia, so I was incredibly excited, and then when I heard who the special guests were, my excitement hit the roof! Lunching with us on Tuesday was tennis SUPERSTAR, Roger Federer, and gold medal Olympic Alpine skier, Mikaela Shiffrin, both Barilla brand ambassadors. Roger and Mikaela are in town for this weekend’s huge Laver Cup tennis tournament (described to me at our lunch as “the World Cup of tennis – you can actually get free tickets to the Fan Zone featuring the Barilla Masters of Pasta Cucina here!). We were treated to a pasta cooking demonstration with Chef Joe and the special guests, where Roger let us in on the tidbit that he ate SO MUCH pasta growing up (and still). In honor of our main course at lunch, Chef’s beautiful Pomodoro Fresco using Barilla Collezione Rigatoni as the star (which truly brought me back to Italy, where I ate pasta for every meal!) I decided to create a vegetarian pasta using my other new love from Italy – extra virgin lemon olive oil. I honestly can’t get enough lemon olive oil these days, with its rich, tangy flavor, and the results of my Garlicky Lemon Pasta Primavera were something I would be proud to serve Roger Federer, you know, if he just happened to swing by for lunch…. Want to create your own pasta perfection? Barilla Collezione makes it easy for you to get experiment and get creative in the kitchen! Each Collezione pasta shape is crafted into a traditional Italian bronze cut to create authentic Italian pasta with a texture that’s like homemade pasta, making your sauce of choice stick to the pasta. Cook pasta according to directions on box. You want your noodles to have an al dente texture – i.e., don’t overcook them to mush! They should be firm to the taste. Drain and set aside. While the pasta is cooking wash and prepare the veggies. In a large frying pan, cook the garlic and onion on medium high heat. When they begin to soften, add the mushrooms. Once the mushrooms have started to brown, add the zucchini and asparagus, cooking just until tender. Add the halved cherry tomatoes and cook until they begin to give off juice. Quickly add the pasta to the pan. Turn to simmer. Whisk the herbs, lemon olive oil, salt and pepper (to taste) and drizzle over the pasta until coated. Serve immediately with or without Parmigiana Reggiano. Note: What I love about this pasta is you can use almost any veggies you have in your fridge, so it’s perfect for whatever fresh veggies you have on hand! If you don’t happen to have all the ingredients above, substitute with what you have, and it’s sure to be just as delicious! Back from a long, long blogger’s hiatus. Like a year. You know, cause I started Chicagogrammers and all. Takes just a bit of my time :) While Chicagogrammers is truly awesome, and I love, love all the amazing members and opportunities we get to take part in, there’s a certain subset that hates this food and drinking lifestyle. Yes, I’m talking about my pants – they hate me. They hate me so much they refuse to even let me wear them anymore, thereby giving way to me ordering new pants and generally living a life of tight buttons and fatigued belts. Fear of being in photos. That kind of thing. If you’re reading this, you may know what I’m talking about, and I’m starting a Diet Bet about it. The thing is, Main Squeeze and I got engaged and I’m getting married in 2018. As evidenced by our Save the Date cards, I’ve got, like, two arms on just one arm. That’s not right. I’m not blaming it on this food blogger lifestyle or trying to make excuses, because I’m responsible for what goes in my mouth. It’s just when there’s a buffet of the BEST food somewhere…how am I not supposed to try it ALL, and then have SECONDS (thirds, let’s be honest) of my favorites? Oh, and you can bet that I’m pleasantly tipsy at all these fabulous events. From the National Restaurant Association Show, to the Green City BBQ and Chicago Gourmet, this year has pushed the limits of exactly how much I can eat and drink…and it’s A LOT. And I love having the opportunities to go and try everything. I just don’t happen to love ordering big pants or having double the arms and chins, or God forbid, having my future wedding photos capture my fat arms in all their jiggly splendor. I’m committed to having just one chin, normal-sized arms, and pants that don’t hate me. If you find yourself nodding along to this, thanks…I knew you thought I’d put on a few pounds, but jeez. Kidding. If you can commiserate with this, I’d like to invite you to a challenge I’m doing. Wait, don’t stop reading. I’m not asking you to get up at 4:00 a.m. and flip some tractor tires until you puke. I’m not even telling you to go to the gym on January 1. I’m telling you that if you’d like to lose some weight and have a slight competitive streak, then join my Diet Bet starting January 2. What’s Diet Bet, you ask? It’s the thing that helped me lose 8.4 pounds in one month, and I loved it. The great Saya Hillman over at Mac N Cheese Productions did a November Diet Bet challenge with her Life of Yes crew, and jiggly and curious, I tried it out. It was AWESOME. Here’s the gist: you join the challenge and bet $35 that you’ll lose 4% of your body weight in 4 weeks. You weigh-in at the beginning and at the end, using verified techniques, and if you lose your personal 4%, you get your $35 back, PLUS all the winners split the pot of those who didn’t make their bet. So I won my challenge, got my $35 back, and all the winners won an additional $18. Big money, big money. By the time the challenge was coming to a close, I didn’t care if I won any additional money, but damn if I wasn’t going to get my $35 back! My final weigh-in was either Wednesday before Thanksgiving, or Thanksgiving, and since I was meeting a friend for much-needed drinks and snacks on Wednesday night, I didn’t want to weigh-in on Thanksgiving morning. Because of the holiday, I had friends in town on Tuesday, drinking delicious beers and eating golden brown tater tots with ranch dressing, and I skipped that shiz because I knew I had to weigh-in the next day and I was hovering very close to the number I needed on the scale to win, and I. LOVE. TATER. TOTS. I know what you’re thinking, “But, Katie, you missed seeing your friends and that’s restricting yourself, etc, etc…”. And yeah, it was restrictive, but I needed to not go in the devil’s den of Tater Tot Town, because I can’t be trusted there. And if you decide to join this Diet Bet and you’re a food blogger, you may need to set some limitations for yourself, too. It’s either that or risk losing your $35. Wouldn’t you rather lose 4% of your weight than $35? The thing about Diet Bet is that, ultimately, it’s all or nothing – if you don’t make your weight on the final weigh-in day, you won’t get your money back. BUT you’ve got a whole month to do it, and you only weigh-in officially at the beginning and end, so if you have a cheat day here or there, if you can make up for it, then you’ll still be good. Whew, it was like a psychological thriller there at the end. I weighed in and hit my target weight on my final weigh-in, until I had to put shorts on to send my full body pic to Diet Bet, cause I’m sure the good people over there never, ever want to see me in my undies. I put the shorts on, and then I was over by .2 pounds. CRAP! So I went to the gym that morning, even though I really wanted to stay home. And I came home and weighed in under, even with those shorts on. And I ate fish and a side salad for dinner the night before, even though I could’ve had tater tots. But my pants hated me a little less. Then December came around. I didn’t want to be on a Diet Bet then, because holidaze. And my pants hate me more than ever, I have double the double the arms now, and I can’t wait until January 2 to get back on the horse and lose that 8 pounds and then some all over again. I’ll be doing Diet Bets until my wedding, and if this sounds interesting to you, please join the Dining at My Desk’s January Diet Bet Challenge. You lose weight, you win money. Diet Bet was the only thing I’ve tried this past year where I truly felt accountable, because, Dear God, I don’t like losing money. And then I lost 8 pounds, got my $35 back and won $18 more. Score!! So…if you feel at all like I do, and want to try something different, and have at least 4% of your body weight to lose, I really encourage you to try this with me. Joining the challenge in November with Saya’s group was awesome, and the Diet Bet community boards make encouraging each and sharing recipes and work-out tips super easy. Diet Bet leaves how you’re going to lose up to you, so how do I plan on losing my 4% in January? Well, I’m definitely NOT drinking at all in January. No booze shall pass these lips. And I’m going to work out every single day at the gym. And I’m toying around with Whole 30, but I’ll likely be counting calories using MyFitnessPal, and, of course, working on getting 10,000 steps a day with my FitBit. I’ll be updating you at the beginning and end of each challenge, and hopefully we’ll all watch my arms go back to a normal shape together. The Nitty Gritty: The Dining at My Desk Diet Bet challenge starts January 2, 2018 and ends January 29, 2018. The bet is to win 4% of your body weight. The stake is $35 to enter. If you win, but others don’t, you get your $35 back, and split the pot of the people who didn’t win. If everyone wins in our challenge, you’ll still get all of your money back. Have questions? Check out the FAQs for Diet Bet here. Are you with me?! Join Dining at My Desk’s January Diet Bet Challenge Now! Hey everyone! Big news!! I’m currently on a blogging break, as we’re redesigning and debuting a whole new blog look in May, when we’ll debut a new travel section. Dawid (aka Main Squeeze) and I are headed to Paris and Prague, and we’ll be back with city guides for the best food, must-see attractions, and how-to’s for doing a Eurotrip on a budget. We’ve got Main Squeeze taking his gorgeous photos you know and love, and I’ll be there, thoroughly documenting it all for you! See you really soon!! Recipe of the Day Recap: 30 Days of Recipes from Chicagogrammers! Well, Dining at my Desk Readers, I did it. This is the first year I’ve actually created a blog post for each day in December (though have tried valiantly since 2010), and overall, yes, I’m exhausted, thank you for asking. From the beginning to the end, we’ve had soups, side dishes, breakfasts, cookies, ice cream and even a mashed potato and fried chicken cake, but the recurring theme throughout all the recipes is they came from members of Chicagogrammers. What is Chicagogrammers, you ask? It’s a group of Instagrammers based in Chicago, and it’s free and easy to join. 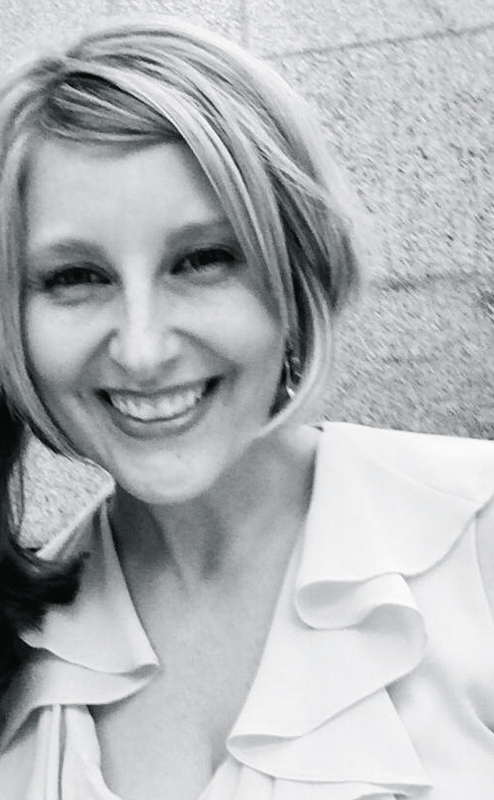 I founded Chicagogrammers with my amazing blog wife, Chrissy, of The Hungary Buddha Eats the World, and this post wouldn’t be complete without a humongous THANK YOU shout out to her and her amazing organizational skills, follow-through and creative powers. She’s just the best. Next big thank you to all of our truly outstanding and inspiring members. While I highlighted the food bloggers here, it’s important to note we have a wide array of lifestyle, fashion, travel, parenting and beauty bloggers we count as members. We’re Chicago-based Instagrammers, bloggers and influencers, and I think 2017 is going to be a great year for us! Ok, now down to business. I’m here to recap all 30 days of these insanely delicious recipes, so get ready for a feast for your eyes!! (1) Drunken Mint Chocolate Chip Ice Cream: Comes to us from none other than co-founder Chrissy of The Hungary Buddha Eats the World. Boozy ice cream ranks right up there on my personal scale of top foods I want to eat either separately or combined. Enjoy! (2) Gluten Free Cranberry Oat Bars: These little dandies are from Marie at Lady Ace Kitchen. They’re for all of you people who can’t tolerate or just don’t like gluten, which I’m convinced is people who only like eating desserts. (3) Maple Bacon Sweet Potatoes: Ok, technically if we’re counting this as a Chicagogrammer, that’d be me, because these were served to a group of bloggers at a Morton Salt event, which was QUITE tasty. These were seriously some of the best potatoes I’ve ever eaten. (4) Rosemary Shortbread Cookies: Oh, these sweet little savory cookies come to us from Ellie of the breathtakingly gorgeous blog, Hungry by Nature. Seriously, visit her blog RIGHT NOW. It’s worth soooo many drools. Hi, Ellie! (5) Lambrusco Sangria: If you all haven’t heard of The Kittchen, pull yourselves out from under your rock and say hi to Kit, the wonderful blogger who also founded our lean, mean blogging machine The Windy City Blogger Collective. She’s in her kitchen all the time whipping up goodies and treats, and this sangria looks particularly delish if I must say so myself. (6) Perfectly (Gluten Free, Paleo) Fluffy Pancakes: Another fabulous blogger, Katie of Personally Paleo, gives us the recipe for her super fluffy gluten-free, paleo pancakes. I’m personally not paleo, but her site is full of awesome recipes for those who are! (7) Fried Chicken, Cornbread, & Mashed Potatoes Layer Cake: Hmmm. As of most of my recipes of the day, I never got around to making this…cake, but I really, really want to. This crazy concoction comes to us from Caitlin of Public Lives, Secret Recipes. Another amazing blog to check out when you have a minute!! (8) Herb-Roasted Squash with Quinoa & Cranberries: Meet Anne of ASquared. Anne and I actually go back a ways in our (other) professional lives, so it’s always fun to give her a little shout and love, and she’s loving us right back with this delicious quinoa dish. Ok, after January 2, this is going on our dinner menu forever! (9) Cream Cheese, Pineapple & Green Pepper Dip (Dorothy’s Dip): Oh, this one I ACTUALLY MADE, can you believe it?! It’s from a new friend, Alana the blogger behind the fabulous party blog, The Jolly Hostess. A combination of slightly strange ingredients comes together in this dip to, as Tim Gunn would say, make it work. This is the easiest dip, and is so good!! (10) Crab Rangoon Pull Apart Bread: Oh, this was a HUGE hit on Instagram, and still not quite certain why we haven’t made it yet… It’s like, all my favorite things – carbs and cheese and faux crab. 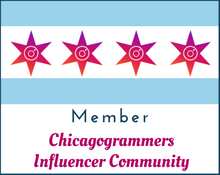 It’s from Alison of Rosie Discovers, another fantastic blogger who’s also a member of Chicagogrammers! (11) Little Lemon Snow Bites: Ok, here’s another recipe I actually had blogged about before. These little cookies are so refreshing – sweet and tart, and everybody loves a cookie with a filling. Plus candy is an actual ingredient, so that’s pretty exciting! (12) Smores Cereal Bars: I love Smores, and these cereal bars look like no exception to the kinds of goodies I love most. Michelle from Honest & Truly, gives us another lip-smacker of a recipe. She’s got tons of other recipes on her blog, which are a good mix of naughty and nice for your new year’s resolutions! (13) Beef Ragu: Hyam of My Midwest Kitchen brings us this complete winner of a recipe. Meat stew over polenta? Yes, we’re into that! This will also be going in our winter lineup for sure! (14) Immunity Soup: This recipe is part of quite a long blog post recapping some of the events we went to this fall. One of my favorites was the opening of True Food Kitchen in River North, and to celebrate, I included Dr. Andrew Weil’s cleansing soup recipe. Seriously, January, I’m looking at you. (15) Gingersnap Icebox Cake with Cranberry Mascarpone Whipped Cream: Omg, whoa. By far the most beautiful cake EVER, this icebox cake is from Danielle, a registered dietician who blogs at The Every Kitchen. Obviously this is a health food. Definitely check out her blog when you get a chance – the pictures are stunning! (16) Peppermint Brownies: These luscious holiday treats are from the lovely Christine of Lattes, Life & Luggage. Her blog is filled with great recipes, book recommendations and travel musings, and she’s an awesome member of Chicagogrammers! (17) Spinach Herb Lasagna: One of my personal favorite blogs is Make it Like a Man, where Jeff shows us how to make stuff, you know, like a man. If Main Squeeze were to make this, it would be a man making a manly meal for a very dainty and refined lady. Hmmm, I wonder where he would find one of those. (18) Salted Caramel Eggnog: Yay!! This boozy treat is from Maris of the fabulous food blog In Good Taste. Maris is a wonderful person and her blog matches her personality – it’s just truly great. Be sure to take a look when you get a chance! (19) Funfetti Cookies: Basically there’s nothing I love more than cookies that mostly come from a boxed mix. Using prepared ingredients make things go a lot faster in the kitchen, and these look simply so good. They’re from Lephan, of the awesome blog Macarons & Lavender. She’s another fabulous Chicagogrammer I met this year! (20) Creamy Butternut Squash and Crab Bisque: This is a unique one, because it comes from Kate of The Ginger List, an Instablog. So delicious and creamy, obviously crab is the perfect accompaniment to a butternut squash soup. (21) Caramelized Onion Dip: Ooo, yum. Just looking at this dip makes me want to eat it ALL RIGHT NOW. It’s from Kathryn of Foodie Girl Chicago, just another fabulous blog from a fellow Chicagorammer. (22) Cranberry Pear Spinach Rice Pilaf: This looks SO fresh and delicious, and I can’t wait to make this in the new year! This rice medley is from Maggie of The Love Nerds, and I’m really hoping to meet her in the New Year! (23) Classic Basil Pesto: Really, it doesn’t get much better than a simple pesto sauce on pasta…or anything. Kelly of Chicago Supper Club gives us the perfected version of this classic sauce. (24) Pecan Meltaways: Again, sometimes the simplest cookies are the ones we keep coming back to over and over. Joelen of What’s Cookin’ Chicago brings us the recipe for these simple, delicious treats. (25) Smores Brownies: Ok, I might have a real thing for smores. Obviously they are a great love of my life. Bringing us this gorgeous brownie recipe is Kelsey of With a Little Grace. (26) Apple Bacon Jam Grilled Cheese: If you haven’t had bacon jam yet, you might want to rethink your life choices, and then start slathering it on your grilled cheese. Thanks for the great idea, Annie! Annie is the inspiration behind this grilled cheese and the fantastic blog, The Brazen Gourmand. (27) Chocolate Blueberry Basil Smoothie: Oh January 1, you’re looming right around the corner, but Erin of Erin’s Inside Job reminds us that you don’t have to give us chocolate if you pair it with fruits and herbs! (28) Tiramisu: Ooo, yeah. Pretty much the best dessert you can get in an Italian restaurant, and just a delicious choice anytime, Mrinalini of Mrinhearts brings us this scrumptious looking pudding. (29) Cauliflower Pizza Crust: Yes, January looms very large, and in the new year, we’re going to be eating a LOT more pizza on veggies crusts. Here to save our (considerably larger after the holidaze) butts is Jenn of Leasing Happiness. (30) Cheesy Skillet Meatballs in Arrabbiata Sauce: Yeah, these are a whole skillet of yums. Brought to us by Allison of Life’s a Beacham, these little round balls of love are gluten-free and full of cheese! My favorite! Ok, there you have it! 30 recipes from 30 awesome Chicagogrammers! Hope you enjoyed the drools as much as I did. Here’s to a fantastic 2017 – enjoy this weekend with your friends and family, and I”ll see you back here in January! Meatballs. I can’t really think of a better way to wrap up Recipe of the Day (tomorrow I’ll be bringing you the recipe recap!). There’s really nothing better than a cheese-covered ball of meat in a spicy tomato sauce. Allison, of Life’s A Beacham, even made these little guys gluten-free, for all of those who are watching your gluten! Yum. Oh, did I forget to mention…she’s a Chicagogrammer!! For the full recipe with instructions, visit Allison at Life’s a Beacham. I’m truly a little bit nervous on the logistics of how I’m going to eat like 4 bags of chips, 2 creamy dips and a large jar of cheese spread as well as a slew of Christmas cookies before I start up the ol’ diet on January 2. Should I be waking up every two hours to eat Swiss Almond cheese spread on chips? Not sure how I’m going to pull this one off, but have faith in me, dear readers. Anyhow, when things start back up again, I’m going to be eating a LOT more of things like this. Pizza with vegetable crusts. Vegetable crusts without pizza toppings. Things of that nature. That’s why I’m thanking Jenn of Leasing Happiness for this awesome cauliflower pizza crust! For the rest of the recipe with full instructions, please visit Jenn at Leasing Happiness. She might be another Chicagogrammer!! Hi, I'm Katie, the founder, sole blogger and chief Wordpress experimentalist of Dining at My Desk. Spawned after a lengthy Facebook review of yet another Lean Cuisine eaten at my desk, I decided I needed more characters in which to spew both my love and hatred of the prototypical American worker's lunch staple. Thus was born Dining at My Desk. Check me out on Instagramz! Ashley on Recipe of the Day Recap: 30 Days of Recipes from Chicagogrammers! Christine on Recipe of the Day Recap: 30 Days of Recipes from Chicagogrammers!